Wastewater recycling in a steel plating mill utilizing crossflow membrane filtration and reverse osmosis. 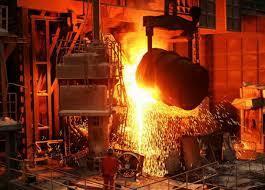 Steel manufacturing plants are large water consumers that use a tremendous amount of water in their production process. As a result of the increasing demand in resource sustainability, high quality process water and stringent discharge compliance, the U.S. steel industry has faced tough challenges in smart water management to survive today’s global economic environment. The challenge is compounded by the complexity of the contamination of wastewater characterized by their high concentrations in dissolved solids, suspended particles, toxic metals, difficult-to-treat chemicals and complex organic compounds. Recent studies have revealed the significance of proper waste stream segregation, coupled with proper membrane filtration, to achieve maximum water quality and reuse at minimal capital and operating cost. This presentation shall identify the various wastewater sources of concern and assess the associated technical challenges that need to be recognized and overcome by the industry. The discussion will present exploration of the conceptual approaches and treatment alternatives via an extensive pilot test program along with a full scale system case study. The case study will depict the design, engineering, and operations details of a Tubular Membrane/Reverse Osmosis wastewater recycle plant installed in a large midwest US steel plating mill as the replacement of a conventional system to meet the NPDES permit requirements and the company’s long-term water resource management objectives.